I have always been fascinated with Citroens, even as a child. The likes of DS, GS, CX, and others filled my imagination with their spaceship-like looks, their otherworldly tachometers and steering wheel controls, and their futuristic hydropneumatic suspension. 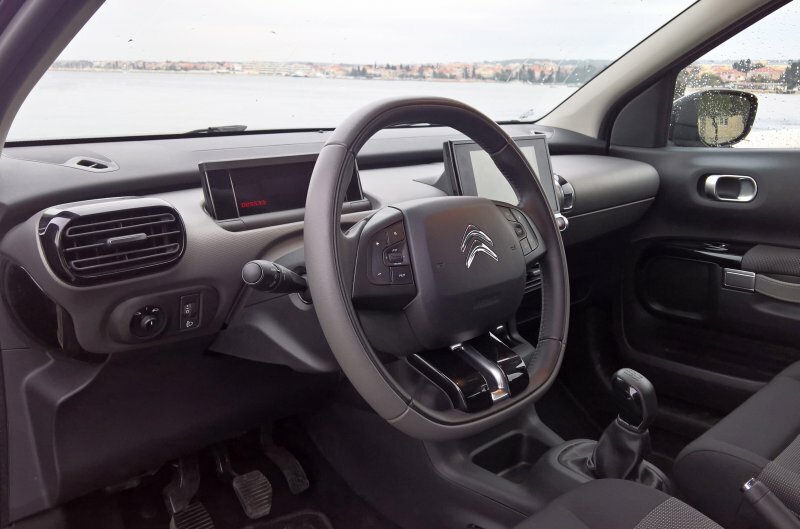 Fast forward 40 years, Citroen is offering more mainstream technology to its more mainstream users, with an occasional spanner of flair and spice thrown into the tumbling spin of car models. C4 Cactus is a great example. A car that blends retro looks with nostalgia with affordable practicality, without being boring or cheap. It's an elegant vehicle, and when I realized I had an opportunity to test one, I said aye. 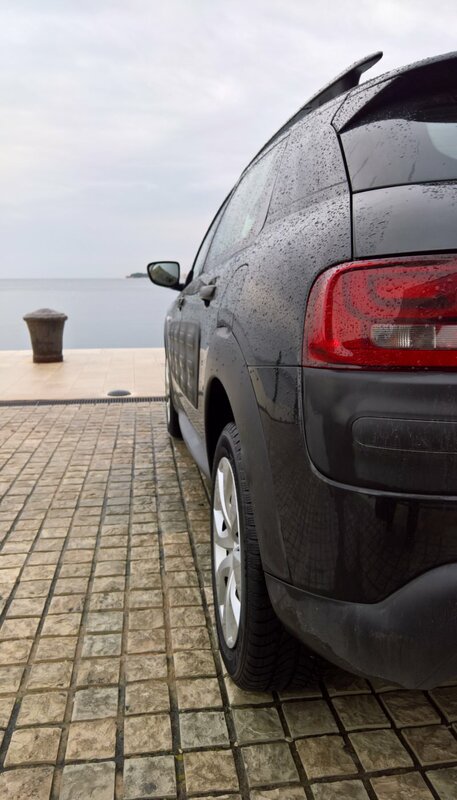 For two days and change, I drove a low-spec C4 diesel model in a rainy Mediterranean winter, with a chance to sample both its urban as well as highway behavior. So let's see what happened. Voyage, Voyage; image courtesy Citroen Media Center. Like any so-called lifestyle cars, C4 Cactus comes with a bewildering range of options and customizations. The engine choice is probably the least interesting, with two petrols (well three) and two diesels, but this is more than compensated by some seven trim levels, including names like Feel, Flair Edition, Touch, W, and some others. This is very similar to Opel Adam and Renault Captur, both of which I tested on Dedoimedo in the past. In fact, in some ways, C4 Cactus and Captur are both rather viable options to a potential buyer looking for an avant garde mini crossover. 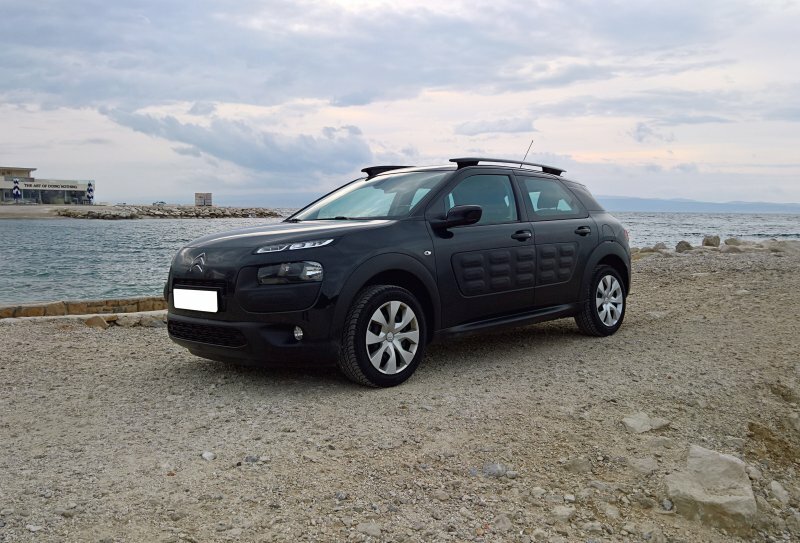 The 2017 Cactus what I got had the following on its sheet: 1.6-liter BlueHDi diesel engine, with 98 horses and 254 Nm of torque, which is a very respectable number for the car of this size, delivered at 1750 rpm. The Cactus is also relatively light, only 1070 kg, so the question of performance and nippiness definitely begs. When it comes to looking unique and in your face, my test unit had the lowest trim option - Touch. This translates into simple clothes for the seats, lumbar support, and steel wheels with faux-nice caps. 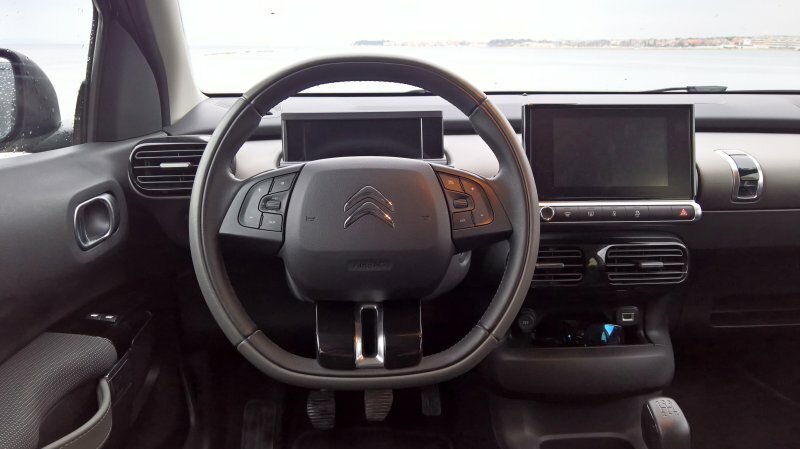 All Capturs also get body colored air bumpers (called AirBumps), electric mirrors, front electric windows, start & stop, cruise control, and an audio remote for the infotainment system. 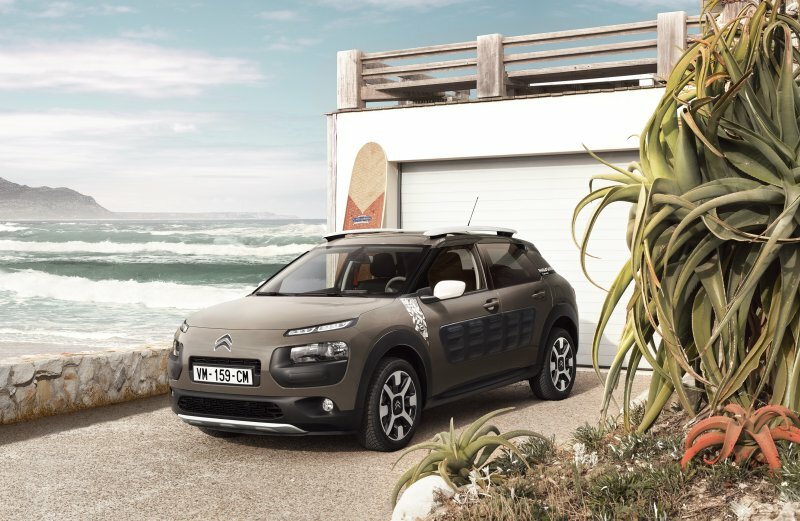 There's one thing that Citroen C4 Cactus promises when it comes to its aesthetics - it will not leave you indifferent. There are no two ways about it. Either you will like its crazy looks, or you will hate them. It's designed to stand out. While it has a squat, robust feel of a CUV, it feels smaller due to its youthful lines, and most importantly, them AirBumps. When I first saw them, my initial reaction was: what kind of cheap gimmick is this? Then, very quickly, I realized that they are an integral part of the car's image, proverbial and literal, and they do add to what Cactus is all about. And that would be: fun most of all. Pretty and otherworldly all around. Say what you will, but there shall be an emotion. AirBumps are also practical. 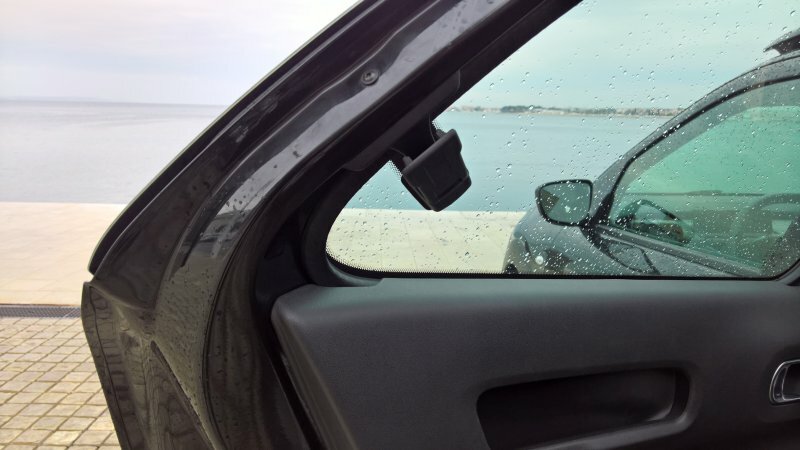 They are technically known as Idiot Protection Door Shields, as they should stop inconsiderate shoppers in tight parking lots banging their own cars' apertures against yours. You also get some extra foam and air on the front and rear bumpers, giving you an extra dose of reassurance when it comes to parking. This does not mean you should put care to abandon, but it can help with dents and scratches. And even if it does not, it's a major marketing point, and everyone is talking about it, myself included. Futuristic and retro finishes, me likey. Inside, the C4 feels like a Buckaroo Bonzai Across the 8th Dimension. It blends frugal with elegant. The lines are decidedly not German, all flowy and not so right-angled. Rear windows clip out, like back in the olden days, contrasted nicely with a touch-screen media system. Higher trim levels introduce even more chic stuff, including roof rails, additional color work, a suitcase-like patterns on the passenger-side dashboard, and more, and I was kind of hoping the test vehicle would have those. Even so, the interior is neat, and the media system had its touch and radio and whatnot. Make sure you keep your hands clear, as the smudges stick out. Le work environment - serene, simple, decidedly French. There's sufficient space up front, okay behind, and about 350 liters behind the fifth door. It's a family car, but then it's not meant to be the ultimate transporter for All Things Children Ltd. The comfort is as you'd expect, sublime. The driver's position is good, with decent visibility and easy reach to all essential controls. A touch-only media system has its downsides, the chief being that without tactile response, you actually have to look at the screen to figure out what you're doing, and that means you're not focusing on the road. Or you could use the remote. Or ask someone else to do it. Or not. The clutch pedal has a different offset, and they are spaced relatively closely apart, which might be a boon to those who like to heel-and-toe, although this probably isn't the preferred choice for such daring-do. Quintessentially French. Soft, comfortable and not purely speed focused. The car is meant to cosset the driver, and you're supposed to tone down your testosterone levels to 60%. You get this impression when you sit down behind the steering wheel, and it becomes even more apparent once you start driving. 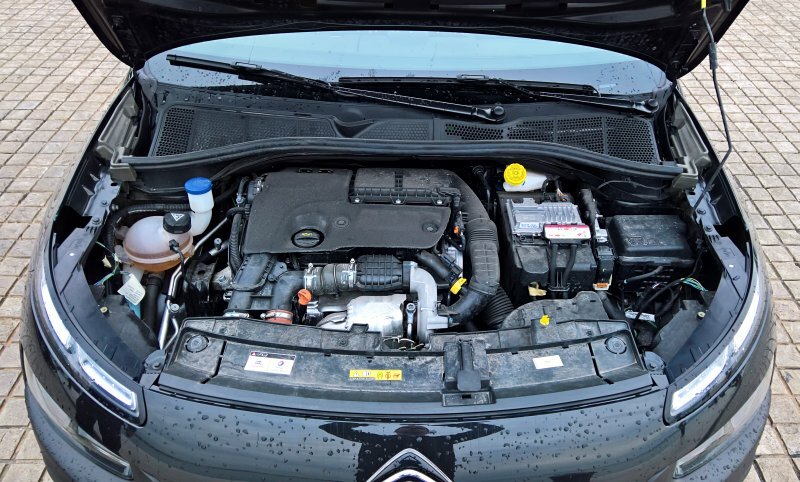 Even though the engine packs plenty of torque, the vehicle has a gearbox with only five forward options. Not sure if this is a weight- or money-saving choice, but a sixth cog would definitely make more sense, especially since it's present in virtually every German car with more than 200 Nm of torque. It's spongy, too. And you feel that right away. Try to quick-shift and overtake, and the Cactus will complain. There will be an instant surge of power, but then, all of a sudden, it will feel like you've hit an invisible wall of gelatin, and the vehicle is struggling to worm through. If you are aiming for quick zipping arrow-like maneuvers, don't. Cactus can't really do them, and there's a delay of about two seconds between intent and response. The paradox is, the engine is really nice. I even managed to spin the front wheels in second gear on a dry road. There's a lot of power, but you will never be able to use it precisely or sharply. Instead, you should let the C4 work out its comfort-delay dynamics and then slowly build speed. This creates a frustrating sense of tardiness, even though the car has a reasonable 0-100 km/h figure of 10.4 seconds. No slouch, but it feels that way. My hands are on the steering wheel, I swear - just cropped out of the image. If you do relax, and let the Cactus spread its wing, then it will start treating you nicely in return. The engine works best in the 80 km/h plus range in the fifth. It's a cruising machine, and it blends a comfortable seating position with relaxed speed and low fuel consumption. Somewhat similar to how I felt about Peugeot 308 back in the day. On the open roads, all is well then. In town, it's perfectly capable, but watch the speed needle, because you will press harder than necessary expecting to goad its reflexes. The nose is heavy, so if you jab into corners, it will dip, creating a sense of understeer without actually doing it. The grip is quite good with 205/55 R 16 winter tires. Take it easy and thou shalt reap; image courtesy Citroen Media Center. The best way to manage the C4 Cactus is finesse and calm manners. No rush. No aggression. It's not designed to be fast or precise. The sponginess is part of its cool look and excellent comfort. If you're after something a little bit angrier, try a Skoda Yeti instead, for instance. 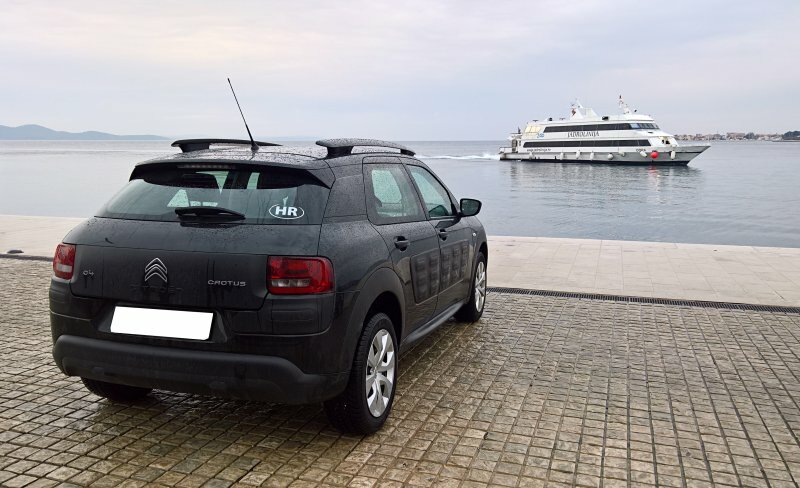 Now, once you put your NFS instincts aside, Citroen C4 Cactus makes for an excellent road companion. 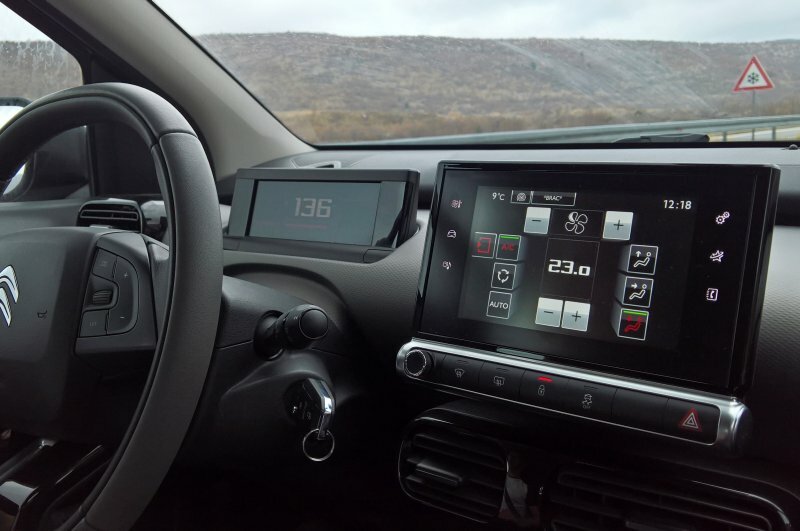 The driving position is good, the seats are comfortable, noise levels are perfectly acceptable, and the car is composed, even with wind and rain and 130 km/h under its rubbers. It works well, and it will only eat about 5 liters on a combined cycle, which gives you a very reasonable range of about 900 km on its fuel tank. That's quite impressive, actually. I spotted no biggies in the two days (and change) that I had the car to myself and my camera equipment. But then, it was fairly new, so there ought not to be any issues. 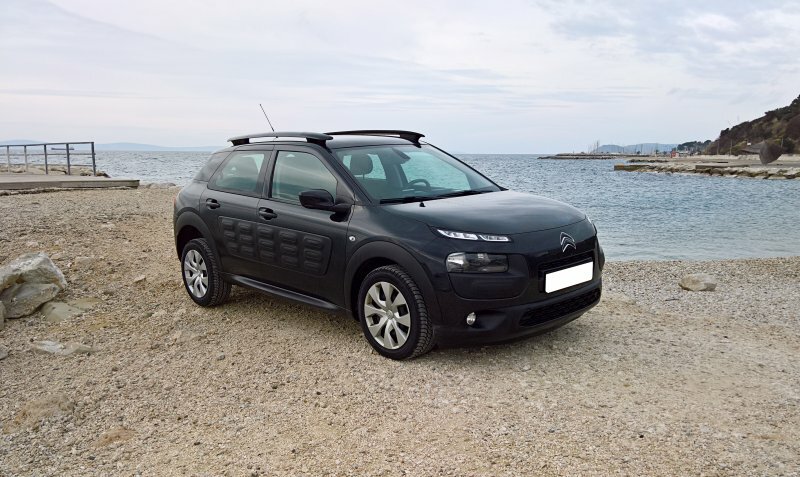 Citroen C4 Cactus is not DS or CX, but it is one of the cooler, funkier Citroens I've seen in a long time. Now, there's a whole range of Cacti, and they come with even more (and crazier) options and accessories, body trim and color, build-in dash cam and whatnot. It all started with this one, and it's a very smart choice for an all-around crossover. The 1.6-diesel manual behaved very well in the road test. It's frugal, it's got punch, and it's cozy. Don't try to use it as a powerdrill, more as a soft brush, and it will pay back your tenderness with love. The looks are both mundane and head-turning at the same time, it WILL illicit a reaction no matter what you say, the interior is futuristic and retro, spacious and comfortable, and it's a good option for those who do not need absolute laser-sharp precision from their troop carriers. 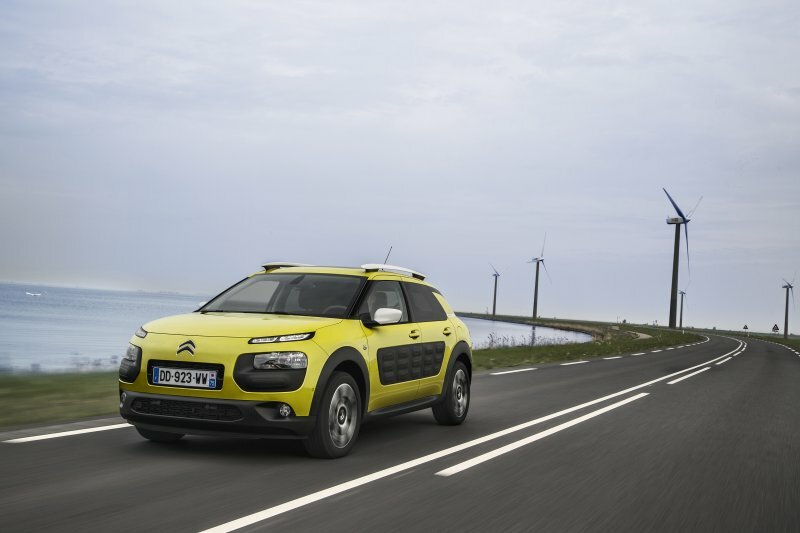 If you want something slightly different, C4 Cactus might be the spark that will rekindle your passion for Citroens. For me it did. Stirred that 40-year-old wonder for the sci-fi machines that bore the double-arrow badge back then. 8/10. Le enjoy.